Arena Mysterium is a unique city game where teams of players perform different tasks, overcome obstacles and answer questions. 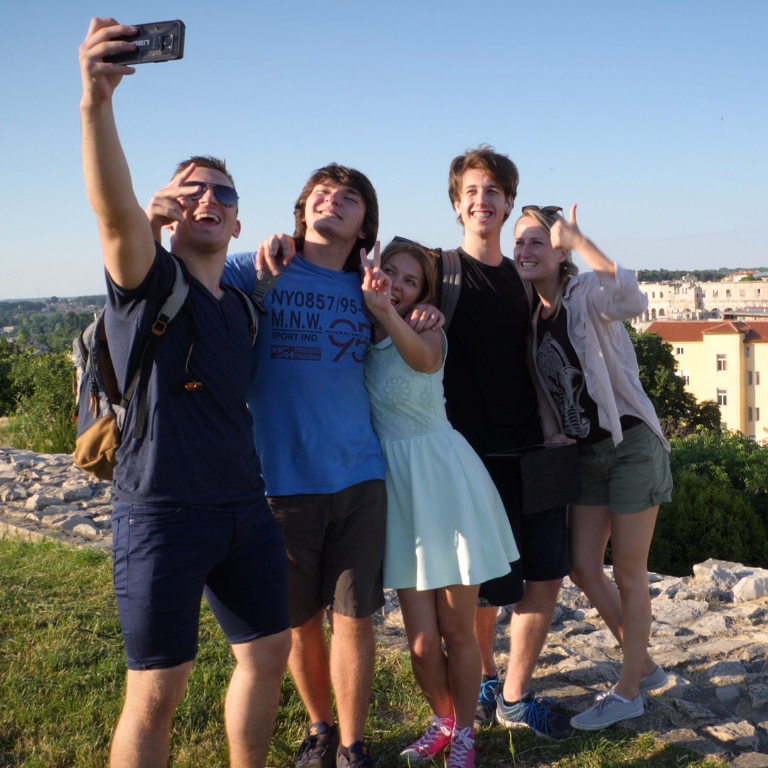 Your perseverance and teamwork will lead you through the streets of beautiful Pula. You will discover the most famous sights and also less known but equally interesting spots, and you will learn a lot about the history and life in those places. It is simply a great new way to get to know tourist destinations without a guide in a playful way. It is a great way how to enjoy your leisure time with your friends, family or colleagues through teambuilding. Arena Mysterium game can be booked online on the official website www.citygame.hr or over the phone at +385 95 7578 555. The price for one team (2-5people) is 440 Kn (60 Eur). The game can be played in Croatian, English, German, Italian, Czech and Slovak. Available daily from 9 A.M to 6 P.M. Arena Mysterium has been created by CITY GAME j.d.o.o.